Rain, wind, cold and mud. 21st-century surfers no longer just dream of an endless summer, they want to enjoy the waves in winter so they need the right clothes to overcome the obstacles and if they can keep them on for wearing in town, down the pub, then even better. Fall Winter 2019/20 Surf Apparel Buyer’s Guide by David Bianic. Salty Crew have seen unprecedented success since launching a few years ago, and for FW19/20, they pay close attention to protection as “we continue to use DWR coatings, SPF fabric, multi-stretch performance fabrics and quick dry fabrications. Our sun protection category is gaining steam and we will keep building this category,” says Mike Niemann – Head of Product. So what have the brands got in store for us in their autumn-winter 2019/20 collections? Well, the answers are varied but all draw on their history to make for some wholesome diversity. 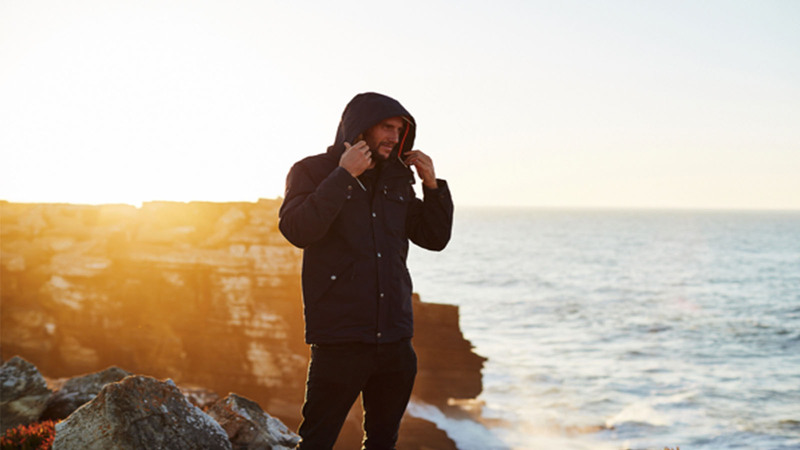 Finisterre for example are not changing tack and remain loyal to their True North range, explains Todd, Chief Menswear Designer: “The collection needs to stand up to the demands of those who are out there seeking uncrowded waves in the most remote locations, and in the harshest of conditions. The collection is sharply styled, but it’s built to withstand the elements.” Other collections aren’t seeking such monolithic status as is the case at Rip Curl who offers three concepts: Ultimate Sport, inspired by their team riders (“Made by surfers for surfers. Products made for the search and travel, with a sports look,” explains Pierre-Alexandre ‘P-A-M’ Merlet, Senior Menswear Designer), Free and Easy, enriched by their surfing DNA (logo, colours and Rip Curl silhouettes) and finally Surf Craft, that draws on 1950’s Californian surfing. We continue the journey back in time with Rusty who are showcasing the 70s through a theme that has always held water: “Instead of the ‘free love’ style of the 60s, where surfing was considered a ‘beach-bum’ occupation at best, in the 70s there was a group of surfers who radically changed the world’s perspective on what it meant to be a surfer. Fashion was all about individuality and expression. As such, many traditional fashion rules were broken”, conveys Ben Noble. Staying in a similar time period, Lightning Bolt’s brand image is closely associated with the 70s. Their autumn 2019 collection is centred on a very cool “surf adventure” spirit inspired by “soul surfing” influences from the 70s as well as the big logo pieces of the 80s. 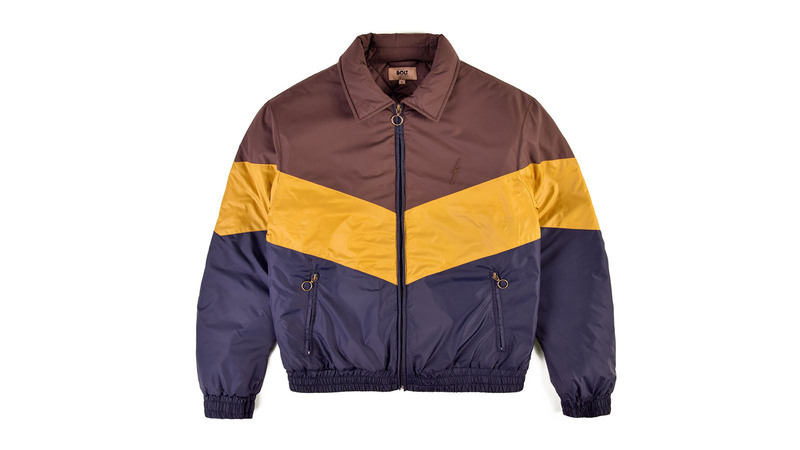 Sometimes the eras crash into each other too, giving birth to hybrid collections, like at Brunotti who are offering “a variety of cross-overs” where “Retro sports and casual vintage meets modern sports technology,” reveals Marketing Assistant, Saskia Groeneveld. Rhythm are also putting forward vintage pieces reworked into contemporary clothes. Unsurprisingly, Patagonia are staying true to their leitmotif with Gabe Davies highlighting the capsule collection that’s designed to help their Global Surf Activists on drives around the theme, “Protect your Peaks”. Another form of commitment from the French brand Sen No Sen, who are celebrating 20 years of existence in 2019, sees them commending the merits of slow fashion “bringing intemporal pieces you can wear every winter,” assures Founder, Mathieu Desaphie. “We make quality products that last longer and encourage people to keep them as long as possible.” Ethics and no faking. Collections have to withstand the brutality of winter’s elements with garments that inspire confidence, starting with the timeless thick flannel shirt in brushed cotton, in either checks or stripes at Brakeburn for example. At the same time, teddy fur features at the top of the list at Brunotti. This work on textures is at the heart of a designer’s work, as confirmed by Ben Noble at Rusty, who states “Big wale cord, Polar Fleece, Melton plaids, Chunky fisherman knits, Sherpa linin,” are amongst the staple fabrics used for t-shirts and hoodies. At Finisterre they also admit to being obsessed with wool because its qualities are proven after centuries of use by seamen. You can find it throughout the range, “from our knits to our Merino wool base layers, and even in our insulation,” affirms the designer, adding that they use wool of ethical origin without mulesing (removing strips of sheep’s skin). These timeless traditional materials are still compatible with the more modern synthetic solutions as well. 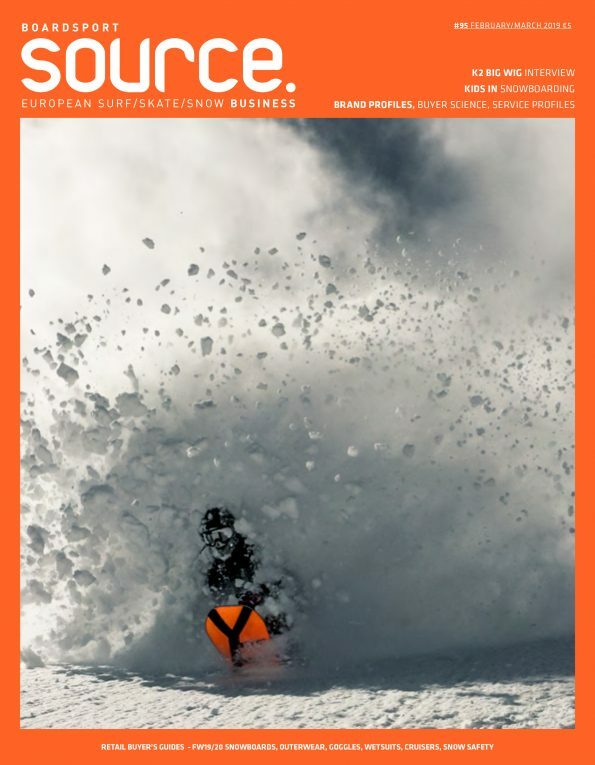 This refers to treatments such as VaporCool from Rip Curl, since breathability is also a necessity in winter, as well as good old nylon on their Anti-Series jackets, which is combined with bio cottons and recycled polyesters. It’s the same idea at Brunotti with the inclusion of waterproof and breathable fabrics, Clo-I insulation and taped seams in their Hybrid collection, “which can be used in the streets and on the slopes,” assures Saskia Groeneveld. More often than not, synthetic rhymes with sustainable, like at Finisterre and their puffer made from recycled materials, or their waterproof jackets with fluorocarbon-free coating. Another example comes from Passenger Clothing who are combining recycled cottons and PFC-free Ripstop nylon fabrics. Gabe from Patagonia for his part is proud to announce that all their liners are now made from 100% recycled material. While every brand is telling their own story, autumn-winter collections realign as soon as we look at the key colourways. It comes as no surprise that earthy, autumnal tones are everywhere: “Deep rich forest greens, burgundy and reds and the blues of the winter sea” (Brakeburn); “‘retro outdoor’ colours with classic oranges, blues and yellows teamed up with autumn shade” (Finisterre); “whisky browns and olive greens, sky and marble greys” (Lightning Bolt); “Navy, Kaki, Grey, Aubergine, Mustard” (Sen No Sen); moss green, worn asphalt shades with dark navy blue, rusty brown and blue salt (Passenger). This rich, rather subdued palette is accompanied by equally subtle motifs/prints such as Finisterre’s nautical diagram inspiration, Isobar and Infinity Waves motifs (Sen No Sen), Fair Isle Scottish jacquard (Brakeburn), vintage flower motifs, stripes and Paisley motifs (Rhythm), marbled effects and tone-on-tone full flower prints (Rip Curl). All these collections are undoubtedly very seductive and you have to hand it to the designers, but how will these efforts be reflected on the price tag? More protection, more ethical and sustainable materials, a higher price? “They are more expensive but compare to the level of quality and technicality,” reminds P-A-M from Rip Curl. This is also Todd’s attitude at Finisterre for whom, “the quality and durability of our clothing, as well as using a responsible supply chain, means that the production cost is more expensive than that of fast fashion options,” and that these garments are to be considered as “investment pieces that won’t need replacing for years to come.” For Patagonia, it’s an investment in the future as Gabe Davies would like to think that “the surf industry could lead the fashion and high street industries by example, as we have the most to lose when the environment suffers.” You are also voting with your wallets.